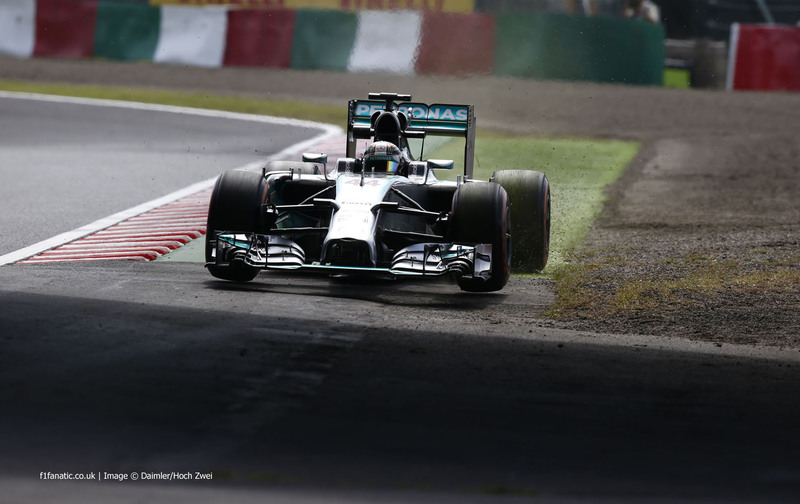 Formula One: Mercedes fastest in Japanese Practice as Verstappen makes history! 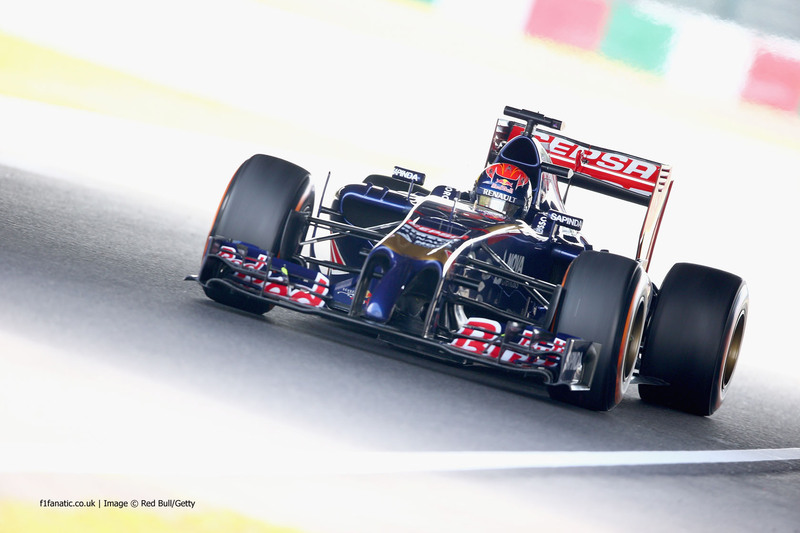 Home » Formula One: Mercedes fastest in Japanese Practice as Verstappen makes history! Nico Rosberg and Lewis Hamilton have topped the first two practice sessions for this weekend’s Japanese Grand Prix at Suzuka. Practice remained dry during the two sessions, but the race could be threatened by Typhoon Phanfone. Heavy rain and wind could affect the circuit should the storm make land fall in southern Japan during the weekend. Nico Rosberg was the fastest man in practice one as he held a tenth advantage over team-mate Lewis Hamilton. Fernando Alonso was the only man who was within a second of the Mercedes drivers, as he was 5 tenths down on Rosberg’s P1 time. Valtteri Bottas in 4th was 1.1 down. Ferrari’s reasonable pace was shown again by Kimi Raikkonen, who put his Ferrari in P5. The McLaren and Red Bull cars were in positions 6 to 9, with Magnussen and Button 6th and 8th and Ricciardo and Vettel 7th and 9th. The session saw history made with Max Verstappen becoming the youngest man to have driven in an F1 weekend as he drove the Toro Rosso in preparation for his F1 seat next year. The teenager turned 17 earlier this week and put in a solid effort in his first practice outing to take the 12th fastest time; 4 tenths down on 10th placed team-mate Daniil Kvyat and only 2.2 seconds slower than Rosberg. His session wasn’t completely undramatic after he was forced to avoid spinning Caterham practice driver Roberto Merhi at the Spoon Curve. His session ended slightly early after an engine failure. Merhi drove in an F1 session for a second time having made his début at the Italian Grand Prix. He took home hero Kamui Kobayashi’s seat for the session and ended 1.6 seconds slower than Ericsson, but ahead of the two Marussia drivers. A messy 90 minute second practice session saw the Mercedes duo dominate by over a second to their nearest rivals. Lewis Hamilton topped the session by 2 tenths ahead of Rosberg, with Valterri Bottas a further second behind. Rosberg may have been closer, or even fastest than Lewis Hamilton had it not been for a series of lock-ups at the final chicane. It wasn’t plain sailing for Hamilton either, as he narrowly avoided a big spin at the exit of the second Degner. Positions 4 to 7 were made up of fomer Japanese Grand Prix winners. 2011 winner Jenson Button took the 4th fastest time ahead of Sebastian Vettel, who has won the race at Suzuka on 4 of the 5 times he has raced there in his F1 career. The Ferrari pair of Alonso (2006 winner) and Raikkonen (2005 winner from 18th on the grid) were 6th and 7th. In comparison, Kevin Magnussen and Daniil Kvyat, who have never raced at Suzuka, were 8th and 9th, with Daniel Ricciardo completing the top 10. Ricciardo caused one of two red flag periods during the session after losing control of his Red Bull after the final chicane. The Australian had been warming up for a flying lap when he went into the barrier via the gravel. 11th placed Jean-Eric Vergne also hit problems twice during the session. He managed to get back on track after mechanical issues at the start only to grind to a halt again in the closing minutes, bringing practice to a premature end with another red flag. Esteban Gutierrez and Kamui Kobayashi also suffered incidents, Gutierrez with a spin and Kobayashi with a hit with the wall in the first sector. The home hero lost control of his Caterham and broke off the front wing. He would only complete 3 laps and would finish 22nd and last.